The all-new 2018 Nissan Leaf is now officially available, with personal lease rates starting from less than £300 per month. Production of the new car got underway just before Christmas, with the first new Leafs now rolling off the line at Nissan’s Sunderland plant. What’s more, the Leaf is the first car of year to get the seal of approval from Euro NCAP, after scoring the maximum five-star award in its revised 2018 crash tests. Euro NCAP has improved and extended protocols for its 2018 test, which now includes cyclist-detection. With a bigger range than ever before – 235 miles on a single charge, which is a 50% improvement over the outgoing model – and a sleeker design based on the new Nissan Micra, the Leaf will be the company’s first car in Europe to embrace the early steps of advanced driver assistance and is packed with cutting-edge innovations. 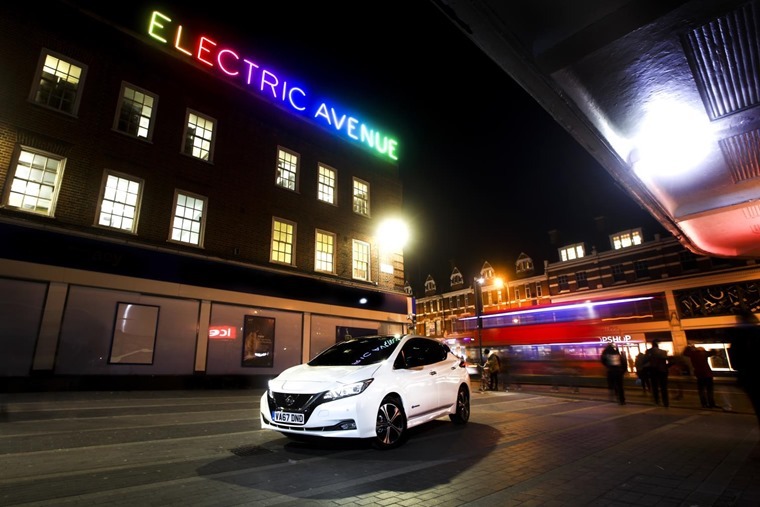 Carl Bayliss, EV Category Manager for Nissan, said: “With the New Nissan LEAF, all-electric motoring has never been more viable or affordable for almost any motorist. EV running costs are around 85% less than petrol or diesel cars and maintenance is almost 75% cheaper. 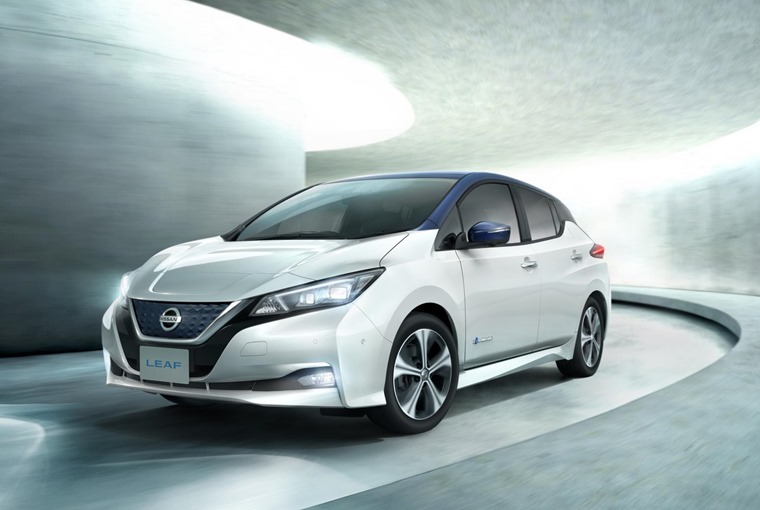 The new Nissan Leaf’s design was inspired in part by the IDS Concept car, which was first shown at the 2015 Tokyo Motor Show, with the front featuring Nissan’s signature V-motion grille, echoing the X-Trail and Qashqai. Similar to Volkswagen’s ULEV offerings, the grille’s blue colour sets it apart from other offering from the manufacturer. The floating roof adds style and a sense of movement while the sleek LED headlamps feature Nissan’s characteristic boomerang design. On the inside the completely redesigned interior has a tasteful, understated look and feel. This has been achieved thanks to higher quality materials and overall fit and finish, elevating the interior to be consistent with the refined nature of the drive. Drivers and passengers will immediately appreciate the signature vibrant blue stitching in the seats, dashboard and steering wheel and the new look of the 7-inch display. The display’s layout has been redesigned for easier access to key features such as the Safety Shield technology, state-of-charge, power gauge, and audio and navigation system information. 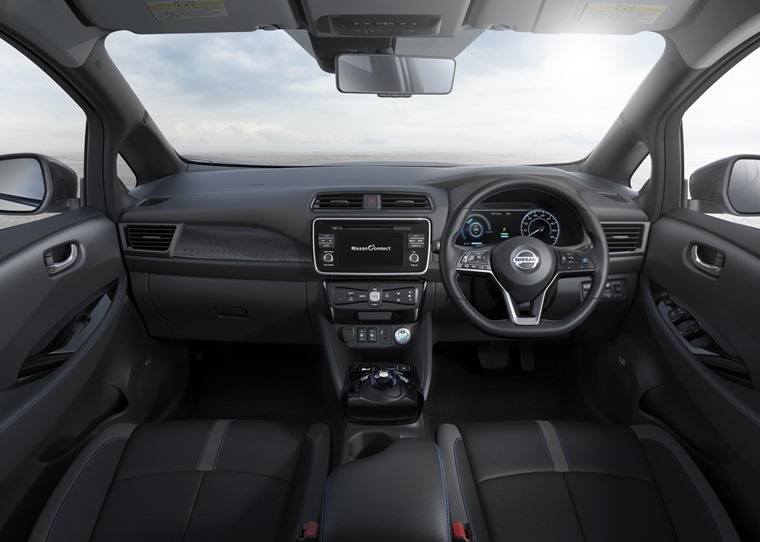 The new Nissan Leaf is stated to be the company’s on-road embodiment of Nissan Intelligent Mobility – a core brand strategy which is defined by how the car is driven, how it is powered and how it integrates into society. The focal point in the new Nissan Leaf is its e-powertrain, which offers improved energy efficiency and increased torque and power output for an enhanced performance. Complementing this new drivetrain is the high-tech lithium-ion battery pack, which delivers increased power and energy storage capacity. 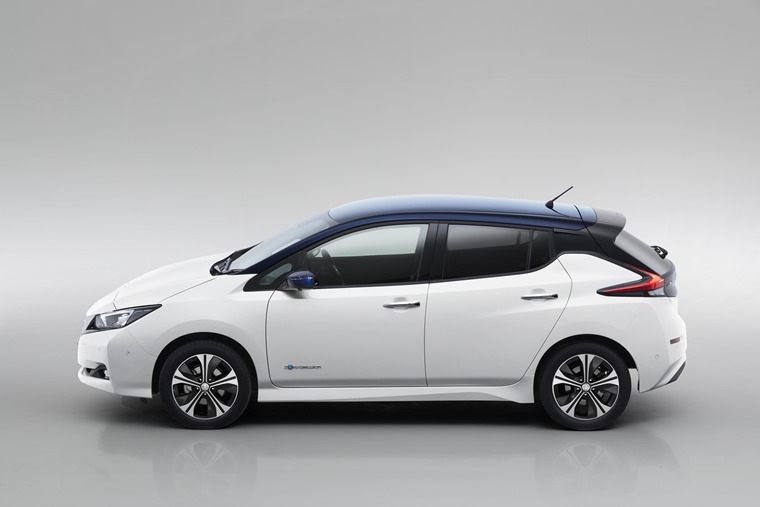 As stated, the Leaf’s driving range has been increased to 235 miles on a single charge. For those who want to drive further, Nissan will introduce a high-power version with increased motor power and battery capacity toward the end of 2018. 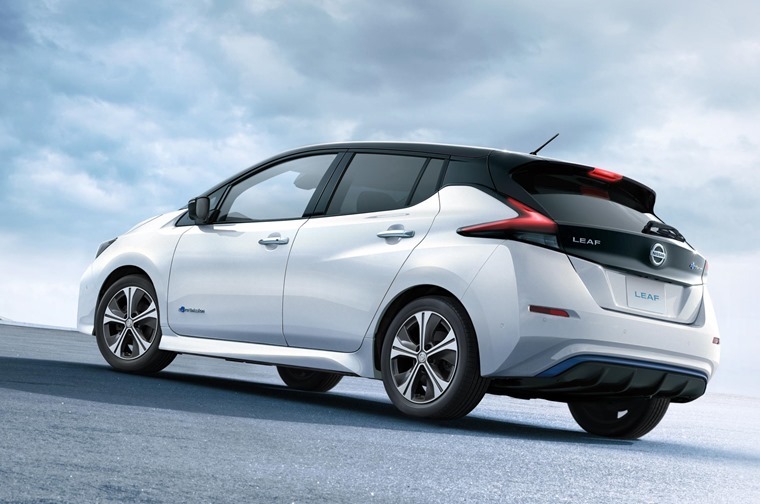 The new Nissan Leaf features three main new intelligent driving technologies. The first is ProPILOT advanced driver assistance system. Used during single-lane driving it makes the drive easier, less stressful and more relaxing. The second, ProPILOT Park, will take control of all steering, acceleration, braking and gear selection to automatically guide the car into a parking spot. It makes parking stress-free and more precise for all drivers. The third, e-Pedal, is a revolutionary technology that promises to transform the way we drive. It allows drivers to start, accelerate, decelerate and stop simply by adjusting their input upon the accelerator pedal. When the accelerator is fully released, regenerative and friction brakes are applied automatically, gradually bringing the car to a complete stop. The car holds its position, even on steep uphill slopes, until the accelerator is pressed again. The reactiveness of e-Pedal enables drivers to maximize their driving pleasure when the road opens up. Nissan’s pioneering vision of the potential of electric vehicles doesn’t stop at powering the electric vehicle – the car’s batteries can also be used as mobile energy devices. Vehicle-to-Grid (V2G) technology combines two-way charging allowing electric vehicles to be fully integrated into the electricity grid. The system works by allowing Nissan EV owners to connect to the grid to play an active role in grid services, while providing the opportunity for an alternate source of income. Once scaled up, the V2G technology will be a game-changer for owners of Nissan electric vehicles as they become active participants in the energy market. 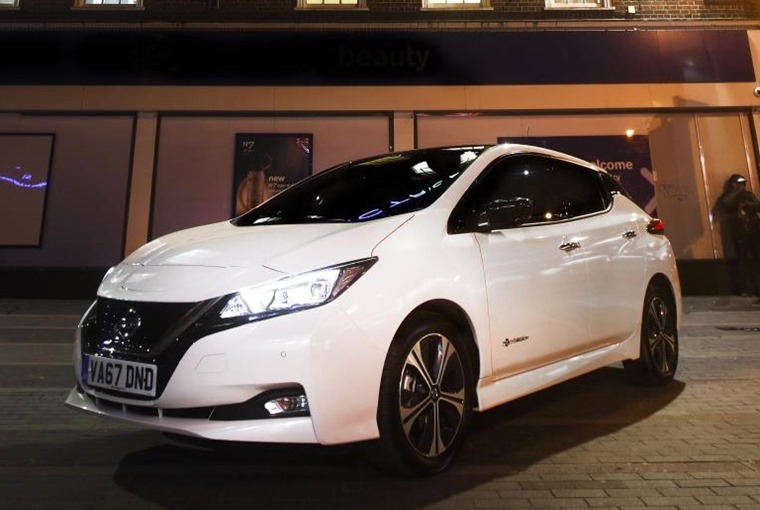 Gareth Dunsmore, director of electric vehicles, Nissan Europe, said: “The new Nissan Leaf will be the most advanced, accessible EV on the market, today. Lease deals on the new Leaf are now available – you can find them all by clicking here. Alternatively, here’s five hybrids and EVs that will cost you less than £250 per month.